We're supporting McDonald's for their fifth Happy Readers campaign, which supports families to read together by giving away free books in every Happy Meal™. Since its launch in 2013, the campaign has delivered 61 million books into the hands of British children. This year’s Happy Readers books were created with Penguin Random House Children’s and the Roald Dahl Story Company, with illustrations by Quentin Blake. 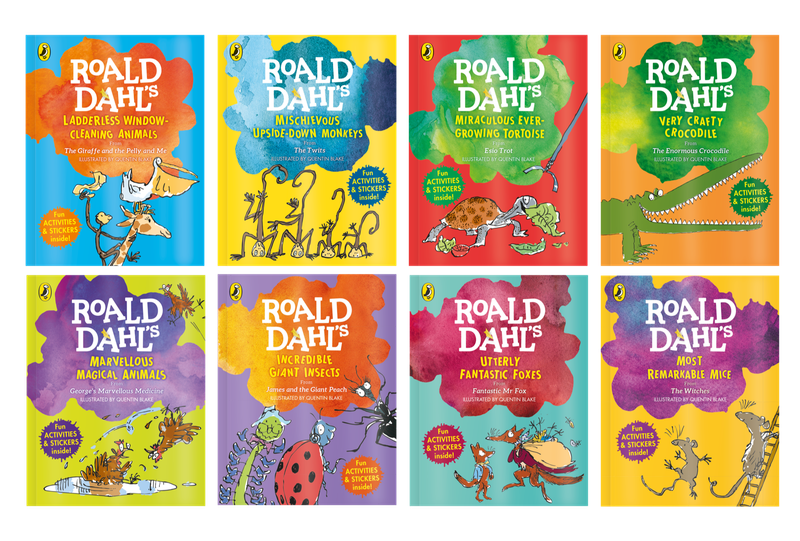 The eight books draw on Roald Dahl’s classic and well-loved stories, each presenting a complete story focused around his animal characters including Fantastic Mr Fox, Miss Spider, The Enormous Crocodile and Muggle-Wump monkeys. To launch the promotion this year, McDonald's have released new research into parents’ attitudes to reading with their children. The study of parents of primary school age children shows that almost all parents (97%) see the importance of reading. 58% of parents believe that reading is a special time for bonding and 6 in 10 agree reading to their child helps them learn to read. However, only 29% of parents read stories to their child every day as per our advice, and only 15% have their child read aloud to them every day. More than a third (36%) of parents want to spend more time reading with their children, and 30% feel guilty about not reading with their children more. The Happy Readers promotion launches on Wednesday 29 August and will run for five weeks, with one book given away per Happy Meal™ until 2 October. Find out more about the Happy Readers campaign.